The commercial exploitation of the Candelilla plant for producing wax, initiated during the early years of the 20th Century. During the past 100 years, commercialization schemes have undergone numerous changes, from the direct participation of foreign companies, to the creation of government trust funds and to the current status where the Candelilla plant is exploited directly by the ranchers for selling the crude wax to private companies. However, during all this time two factors have remained virtually unchanged: The production process for making Candelilla wax and the conditions of extreme poverty of the inhabitants of the Candelilla Region. The processes currently being used for collecting the Candelilla plant, as well as the extraction and refining of the wax, are archaic, inefficient and unsafe. The production volumes and yields are very low, which is reflected directly in low productivity and high production costs. In a global market economy based on the supply and demand law, it is essential that goods and services develop a competitive advantage in order to survive in the market. Candelilla wax is no exception. 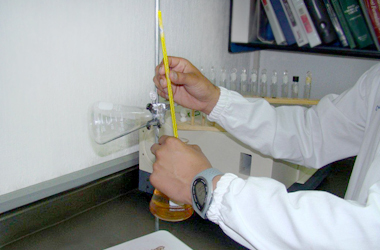 Incorporation of state-of-the-art technology for the supply, exploitation, extraction and refining of Candelilla wax. Development of high value products made from Candelilla wax, supported by research & development programs aimed specifically at satisfying the market needs. These two projects are the “stepping-stone” for an integrated technological development program. 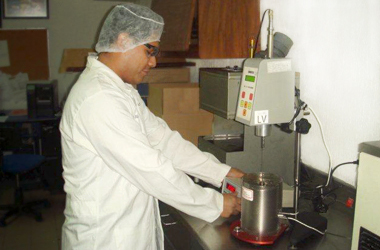 Their implementation in the short term is considered strategic for maintaining competitive the Candelilla wax industry. The benefits of incorporating more efficient technologies should also reflect in a clear improvement in the living conditions of the people involved. In order to achieve this important goal, Candelilla Institute will work jointly with government agencies in order to carry out programs for financial aid, sustainable development and social improvement in the Candelilla Region.